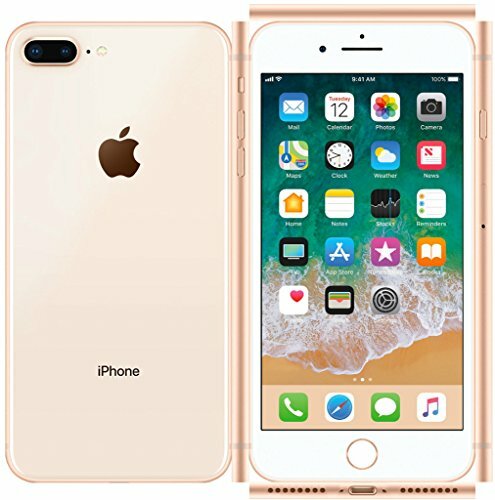 Product Information With the gold iPhone 8 Plus, you can link to your good friends and family with ease. Because this iPhone 8 Plus is unlocked, you can pick the provider that suits your needs. Product Identifiers Brand Name Apple MPN MQ8J2LL/A Network Unlocked Family Line Apple iPhone Model 8 Plus Type Mobile Phone Secret Features Storage Capacity 64GB Color Gold Network Generation 2G, 3G, 4G Style Bar Camera Resolution 12.0 MP Connection Bluetooth, NFC, USB, WiFi Memory Supported Flash Memory Cards Built-In Memory Show Show Innovation Retina HD with 3D Touch Screen Size 5.5"
iPhone 8 Plus is unlocked, you can choose the carrier that suits your needs. This smartphone has Wi-Fi and Bluetooth capability, allowing you to connect to the internet and other devices. You can Take a selfie or two with the 12MP camera and post it to your social media. You can Play your favorite mobile games on the 5.5-inch HD touchscreen or text a quick message.